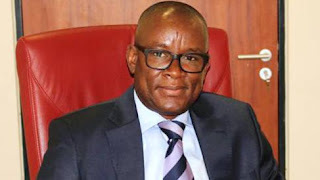 The lawmaker representing Cross River Central Senatorial District in the National Assembly, Senator John Owan-Enoh has initiated the training of 198 youths in his constituency on Information and Communication Technology (ICT) skills. He said ICT was a veritable sub-sector for employment generation especially among the youths.The training with the theme: “Cross River Central Youths: Tapping into the World of the Internet for Self-Employment,” is the third edition of the Cross River Central Youths meet the Owan-Enoh programme. Owan-Enoh who is the Chairman Senate Committee on Finance, said the composition of Nigeria as a country makes it important for youths to acquire ICT skills and be productively engaged. He explained that 66 youths out of the 198 would get customized laptops that would help them start their small businesses within the next few weeks while the remaining 132 youths would be compensated along the line. “An individual who is educated with ICT skills has the hope of a better future and in the long run will also contribute meaningfully to the economy. We need a knowledge based society to make our economy strong and sustainable,” he said. Owan-Enoh noted that the training would not only inculcate ICT knowledge in the youths but would also make them self-reliant and job creators.